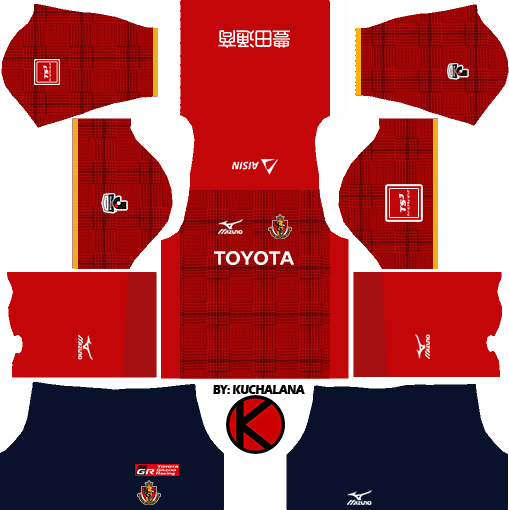 Get the Nagoya Grampus (名古屋グランパス Nagoya Guranpasu) Mizuno kits seasons 2017 for your dream team in Dream League Soccer 2017 and FTS15. 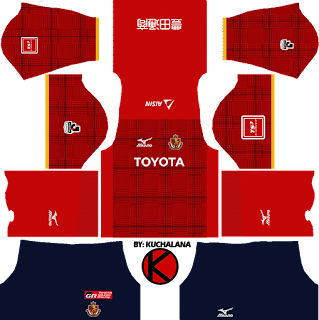 On November 12, Nagoya Grampus announces the new uniform of the 2017 season. Supplier replaces "Lecoq Sportif" to "Mizuno". Home is designed with combination of Barbarian Red, Noble Red, Star Orange based on Gran Pas Red representing passion, powerfulness, aggressiveness, dynamism. I adopted a Glen check pattern using a large lattice made of small lattices and put the thought of trying to demonstrate great power by combining the power of individuals. It is 5.5 cm shorter than the conventional collar to the hem, and the finish that fits the body is 1.5 cm thinner around the collar. 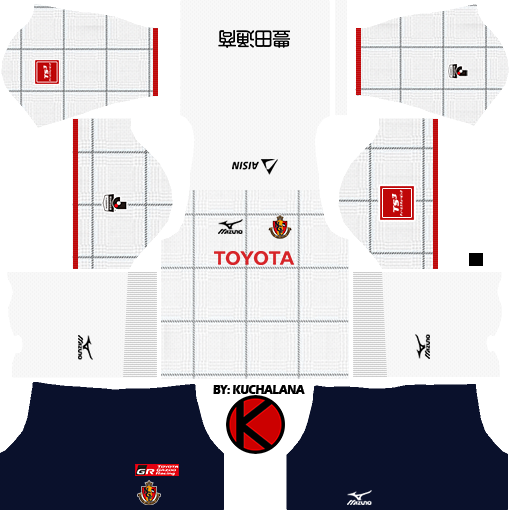 Away is a different white color scheme. 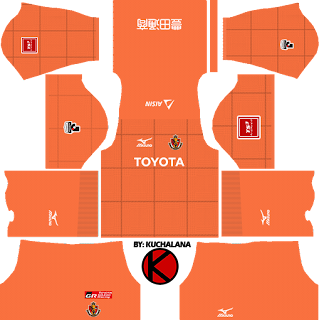 The goalkeeper adopted 1st for green, 2nd for orange, and 3rd for gray keynote. 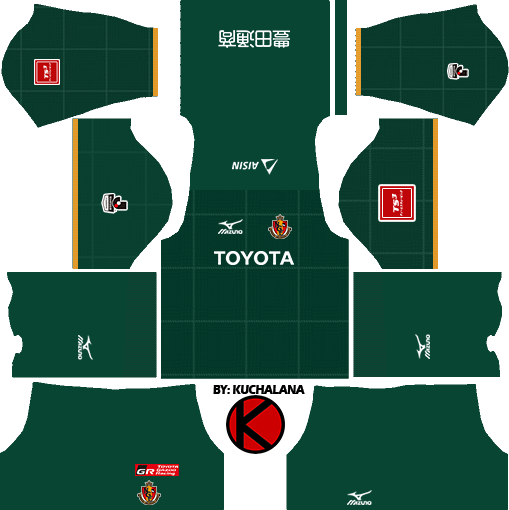 The uniform sponsor is as follows. Back · Aisin Seiki Co., Ltd.
Sleeve · Toyota Finance Co., Ltd.
1 Komen untuk "Nagoya Grampus 名古屋グランパス kits 2017 - Dream League Soccer"